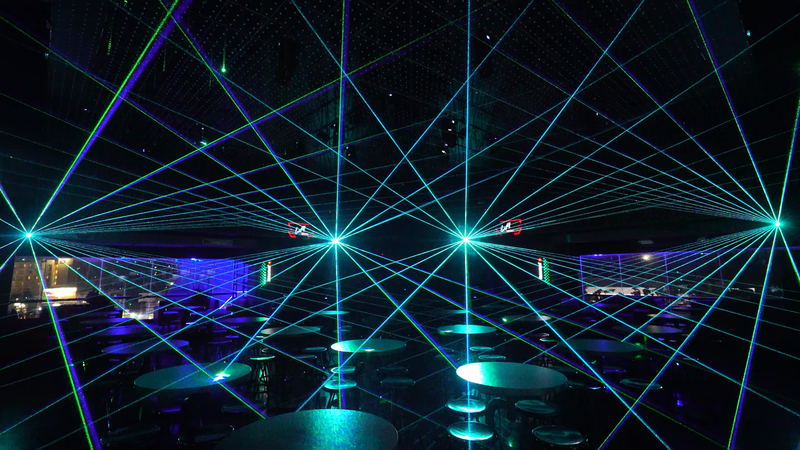 Audio speakers by Stage Accompany were chosen and installed for this nightclub. Manado has become an extremely popular city in Indonesia thanks to its paradisiacal location and surrounding diving spots. 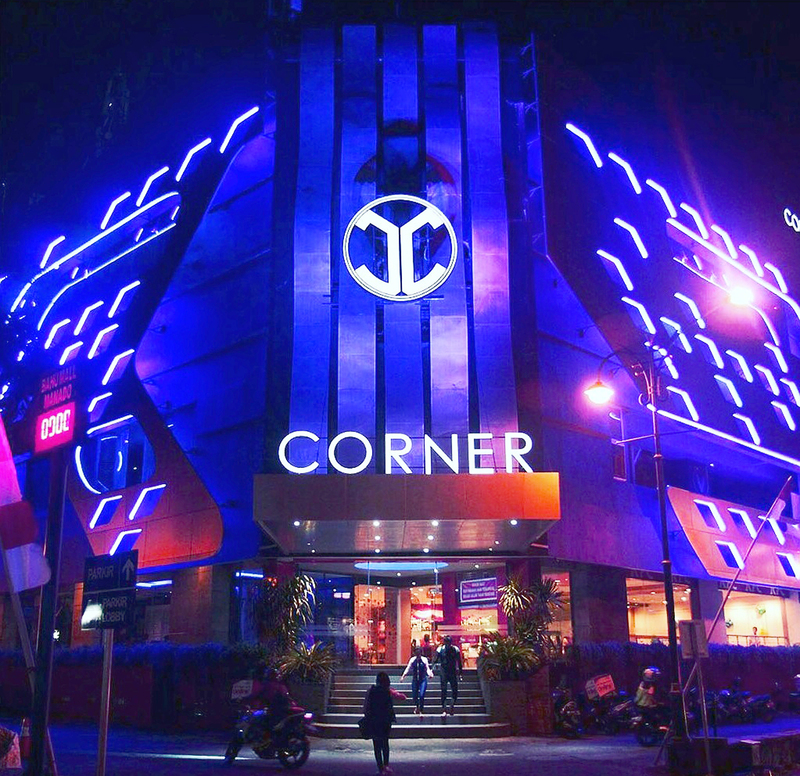 Tourists and locals alike are avid party-goers and that is why Corner Club’s owner wanted to create nothing less than the city’s most interesting nightlife spot. 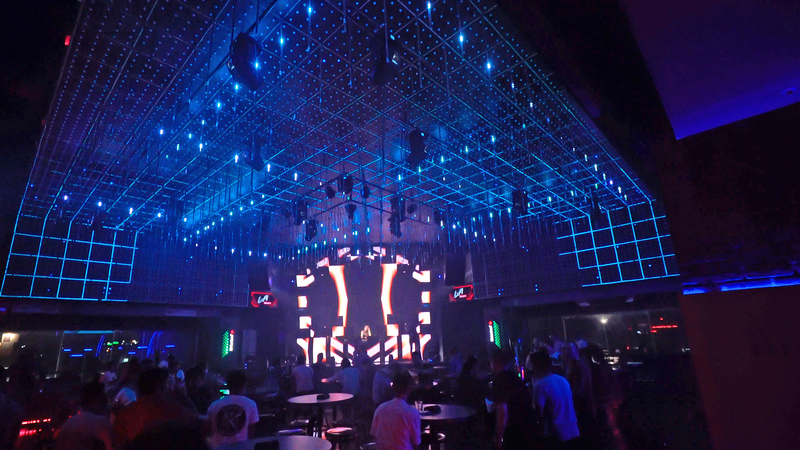 The spacious venue is not only literally located in the corner of a crowded city area, but also boasts a very high ceiling in diamond shape — ideal conditions for a unique appearance, but the previous lighting had become outdated. The new goal was to create the ideal ambience for people to enjoy the music. 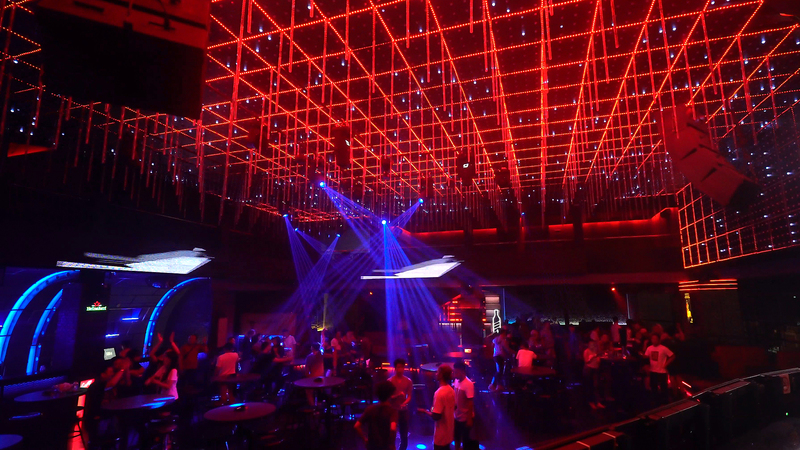 We from Lights Professional and NewVision Technology were tasked to renovate the nightclub with looks that are much more luxurious and modern. Our recommendation was to update the system with the latest in LED lighting and control technology. The design is based on the original diamond shape of the ceiling. 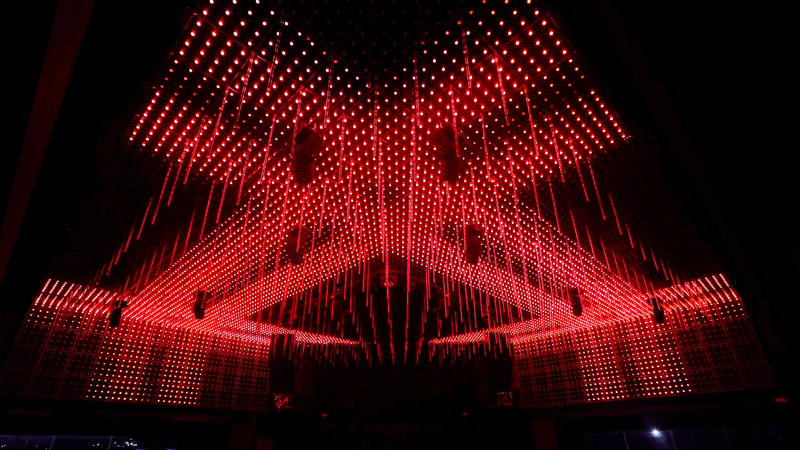 In order to highlight this unique characteristic and to turn it into a huge 3D lighting object, three types of LED fixtures were deployed: 1. Around 9,000 30 mm LED pixel lights with a milky cover, 2. Around 420x 1 m vertical LED tubes, and 3. around 756 m of soft LED stripes. All of these fixtures, and over 160 DMX universes in total, are controlled with a complete lighting control system that includes 20 MADRIX NEBULA hardware units and 1 MADRIX KEY ultimate software controller. 3D visual effects are the main focus of this setup. 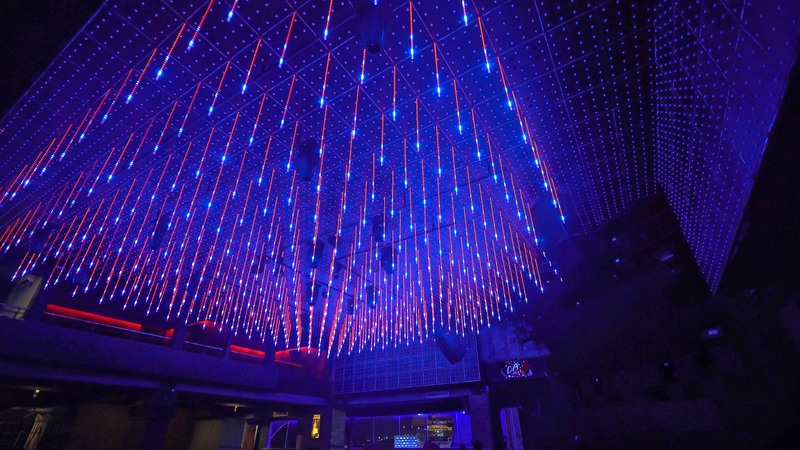 In order to present eye-catching LED lighting with tremendous wow-factors, the selected fixtures were distinctly arranged on different levels of the ceiling. They were also patched on different layers in the MADRIX Software. 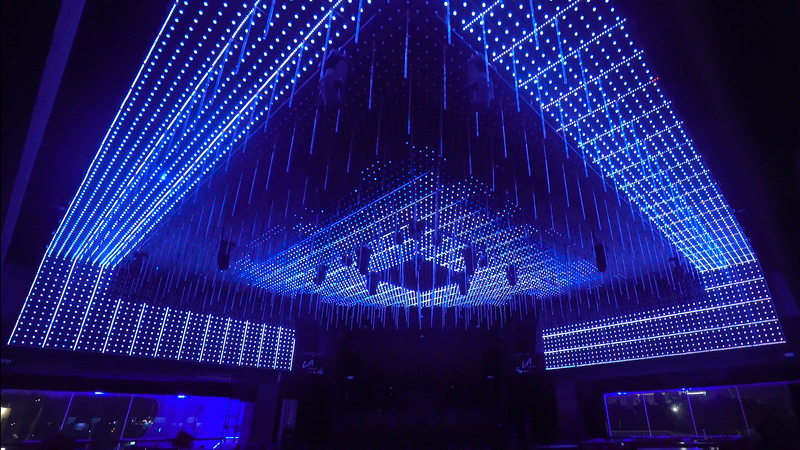 The final result is exceptionally gorgeous lighting that creates stunning visuals that are as volumetric, colourful, and dynamic as initially intended. No less than a couple of thousand meters of wiring were needed in this project. The complexity and balance of cable exposure versus tidiness was one of the biggest challenges, which eventually took longer than expected to overcome. 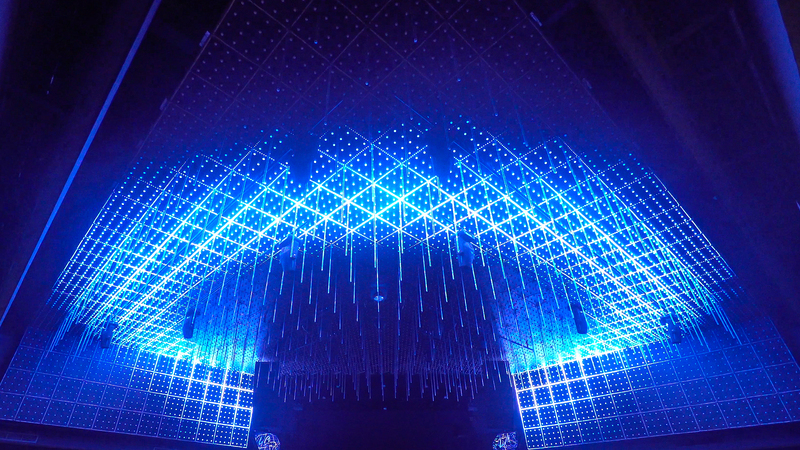 Preparing more than nine thousand pieces of LED pixels into hundreds of wooden panels and the corresponding configurations on four types of panels was equally challenging.